Display of widgets in order of popularity. 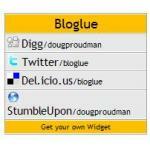 With the Show Yourself Widget easily display all your web accounts with links to them. Extremely easy to set up and highly customizeable, any website can be added! This great little widget puts the functionality of a bulletinboard on your website! Write new threads, comment on threads, and search threads. Very little Japanese is required: 検索 is Search, スレッド作成 is Make a thread, 書き込み is Comment, トップに戻る is Return to Top. You will figure out the rest easily. Code is right on webpage provided. 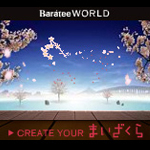 Click on the play button and images are outlined in blowing cherry blossoms. The name of the object being sketched appears before the 'show' begins and is often in English. Quite unique. A wacky and cruel game of chance. Play the roulette and advance through your life. Each step either ends in joy or sorrow and financial loss or gain. If you make it to the end without going bankrupt, you win. An excellent, simple to set up music widget for your website. Just go to the website, click on any of the music links and the page with code for the widget appears. Choose from a variety of music, English and Japanese. The page with the code also allows you to play the mix before copying and installing the code. So easy to use with a great variety of music. Like ants? Or just like squishing them with your finger? Code is in the middle of the widget's web page. 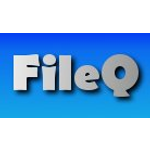 FileQ is a file forwarding service that works quite well. It can be used when you have a file too big to send through regular email. Although the widget and service are entirely in Japanese, I don't think that should stop people from using it since it is quite simple to use with just a few explanations. When you click on the widget there will be a form with several entries, only the top two are required. From the top down, recipient's email address, file browse (参照　means browse), then sender's name, sender's email address, title, and comment. The recipient will receive an email with a password easily noticeable a few lines in the message. Click on the link above it and then simply enter that password in the spot above the Kanji 認証 near the top right, and then press that word. You will then easily be able to download the file. Near the bottom left of the website you will see the Japanese [ブログ貼り付け用HTML ]. 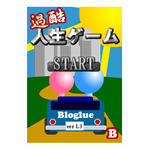 Click this to get the HTML tag for this widget. Blog Sidebar is an incredibly practical widget for blogs when you want to add extra content in your sidebar, but it is too full. The instructions are mostly in Japanese, but don't let that stop you from using it! Setup is simple. Background: choose the sidebar's background color. Textcolor: no explanation needed. Slidespeed: sliding speed of sidebar. From top to bottom, slow to fast. Tabtitle: name and add tabs. Tabcontents: paste the code for the widget/content that you want to add to the tab. After entering this information, click the button on the very bottom of the page. This will reset the code of this widget. Finally, copy the code you see and paste it to your blog or homepage. Don't forget to press that bottom button first!